South Devon Choir has been singing choral music enthusiastically in this lovely area since the 1870s. We are a choir of nearly 100 singers and each Thursday we gather at St Pauls Church Hall, Torquay Road, Preston, Paignton to learn works ranging from Bizet’s Te Deum and Handel’s Messiah to Horawitz and Flanders’ Captain Noah and His Floating Zoo and Karl Jenkins The Armed Man. In fact nearly all the historical oratorios, cantatas and choral works have been performed at concerts as well as 20th century compositions. We welcome new members to come and sing with us to experience the fun, inspiration, friendship and sense of achievement learning and performing amazing music. I am interested in joining your choir, having picked up a leaflet at Dartington . When do rehearsals start and are their auditions? Interested in joining for the big choir annual event ? Hi Ann – You will be very welcome. 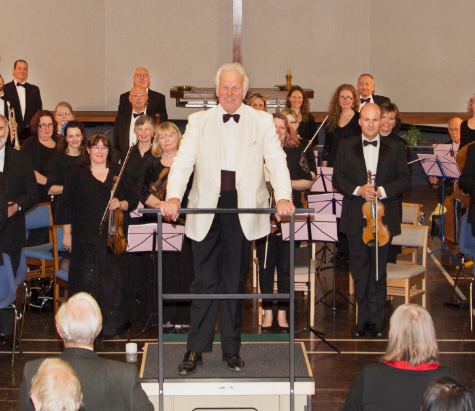 We are performing the Verdi Requiem in July 2016 and will start rehearsing it probably before Easter. However, it would be great if you would come along and try us out before that. Why don’t you come along to our first rehearsal at St Pauls Church Hall, Preston, Paignton for about 7.20pm this Thursday (3rd September) and introduce yourself. No audition required and you don’t have to be able to read music, although it definitely helps to be able to follow it a bit. I have always enjoyed singing and am interested in joining a choir, but have been told there can be a high cost for subscription. Could you let me know what the subs are please ? Would like to know more about this choir. Are there rehearsals in August. If so would like to come along. 80 members seems a lot. Is there a saturation point or are newcomers always welcome? Hi I was wondering if it would be okay to come along to one of your choir practices on a Thursday, i would like to think I have the confidence to eventually join in… what time do you all usually gather at the church? Hello. I am interested in coming to a choir rehearsal to see if I can still remember how to sing! I was in a choir for 9 years, but that was 35 years ago! I read music and sang as an alto. Do you have rehearsals on September 7th? Would it be ok to come along? Hello. I wonder if you could tell me when your rehearsals start and whether you are accepting new members. I adore choral music and belonging to a choir. I am alto and would love to come along. I have received a ups parcel from you addressed to English philharmonia. They are no longer at this address (left 2 years ago) and I have no forwarding address. What should I do with the parcel?